Planning an event? Want to make your special celebration, extra-special? 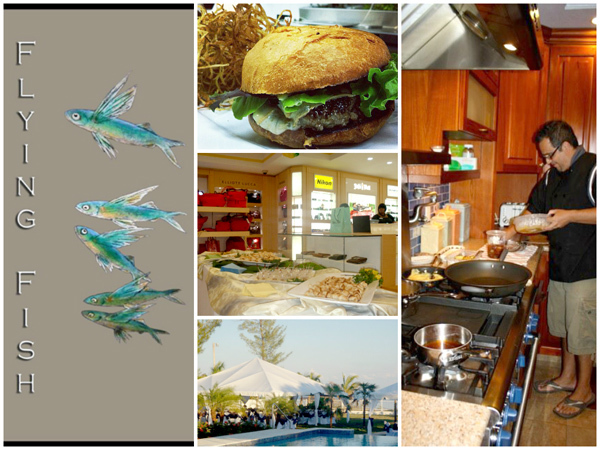 Contact Flying Fish, Grand Bahama's leader in catering & event planning! Featuring Chef Tim Tibbitts, who is considered to be one of the top chefs in the country. Offering in house dinners and private events, complete event planning for parties, weddings, corporate events & openings. Flying Fish will leave your guests talking and make your event one to remember! Reservations are recommended and appreciated.